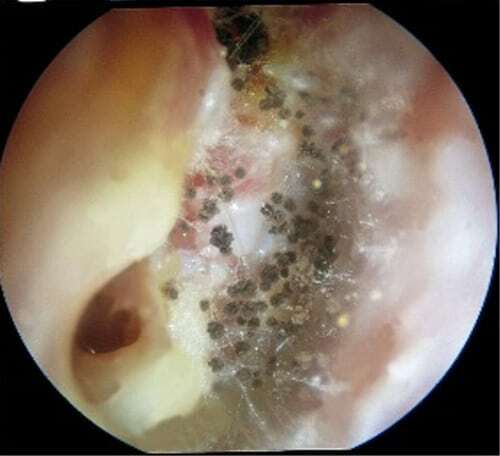 Usually an history of water exposure and/or trauma to the skin of the ear canal. Fungi are responsible for approximately 10% of cases with Aspergillus species the most prominent. 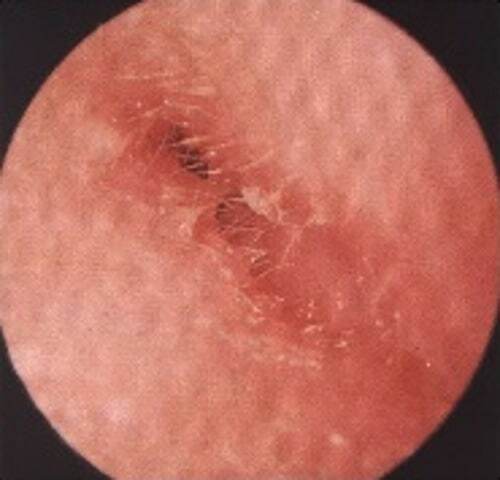 Note the severe swelling causing occlusion of the external auditory canal, with only a minimal degree of discharge seen. Note the localised abscess formation. Whilst most OE is generalised less commonly a furuncle can form in association with a hair follicle.